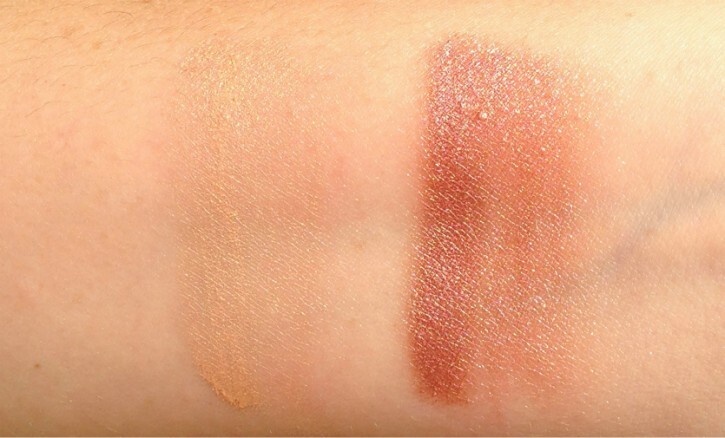 I have always loved cream eyeshadows. 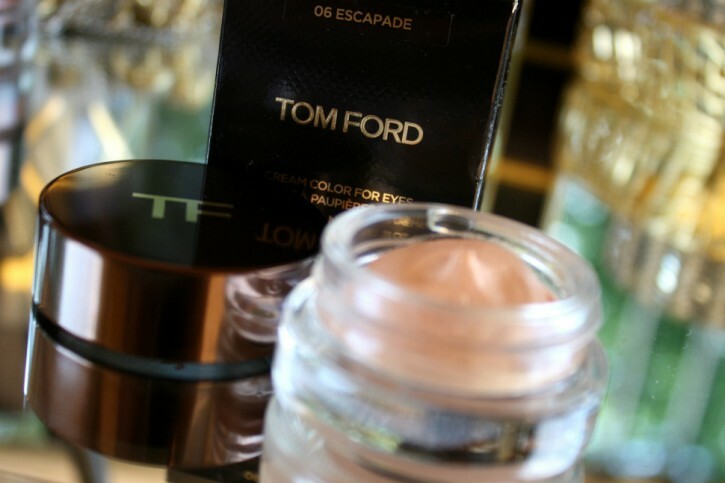 When it comes to potted shadows, my go-to brands have always been Bobbi Brown and Benefit because of their amazing staying power. The colors are gorgeous and they do. not. budge. 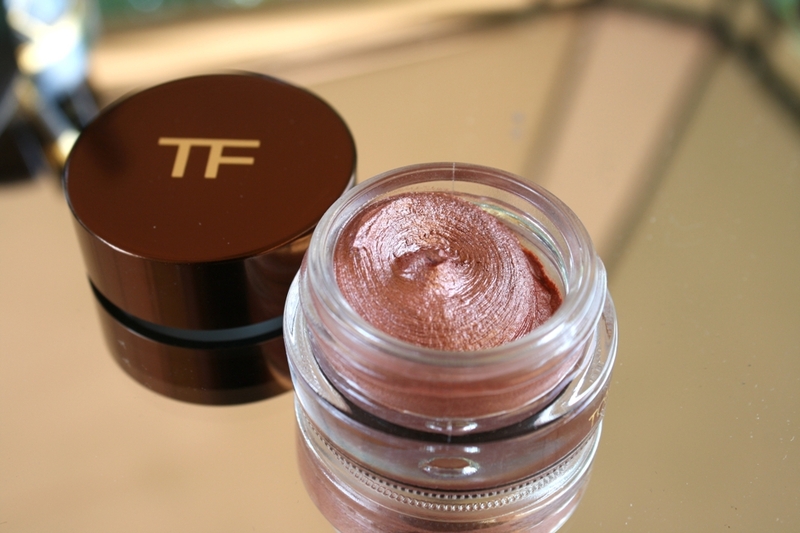 I have to admit that when I first tried the TOM FORD Beauty Cream Color for Eyes in Spice last year I was apprehensive. The composition of these shadows is so amazing that I was certain they would crease. They are very dense and creamy with a texture akin to whipped mousse. How could that possibly stay put on my eyelids? Thankfully, they do more than just simply “stay put”. 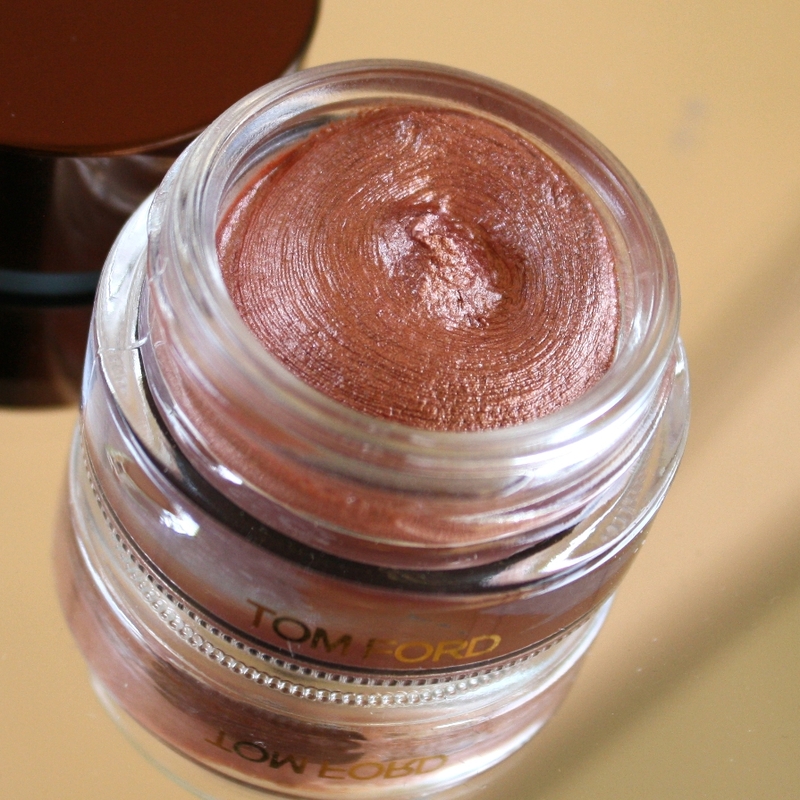 This glorious texture results in shadows that are very malleable and can be blended with ease. They don’t dry down on your eyelids and instead feel moisturizing with an almost cooling effect. The best part? They don’t crease. At all. It’s actually kind of amazing. 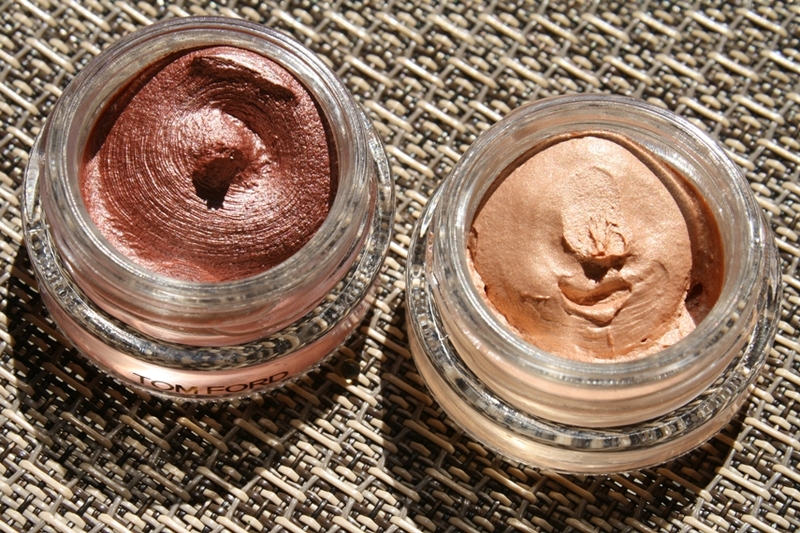 Needless to say, I was thrilled when I found out that the 2013 Summer Color Collection would include two new limited-edition shades. First up is Pink Haze, a beautiful warm “pink with peach tones and gold pearl” shimmer. This is an absolutely breathtaking color. 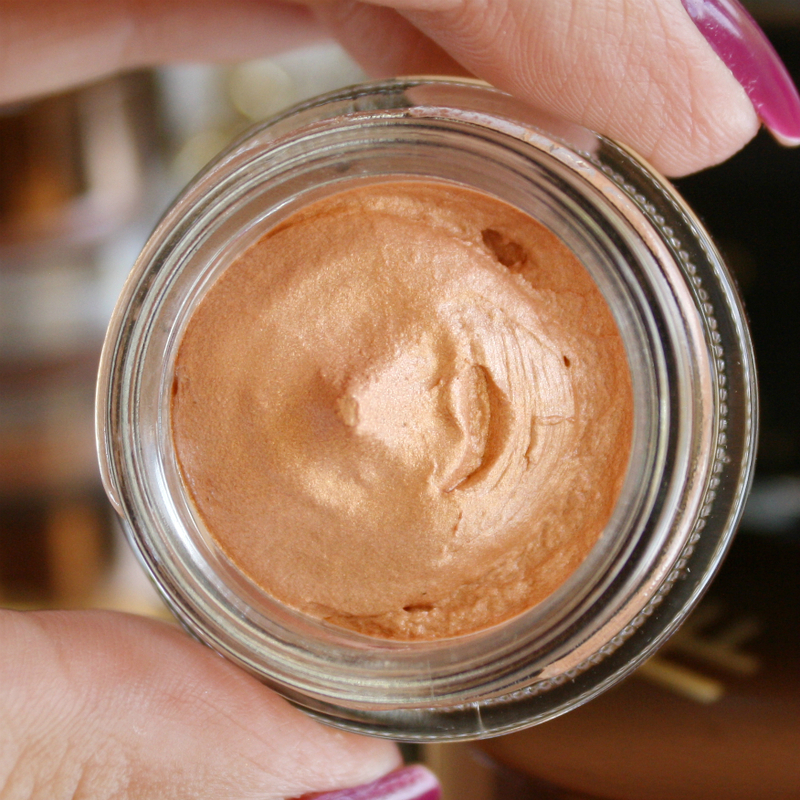 It looks more copper than pink in the pot, but once applied its true peach tones come out. In terms of pigmentation and longevity, a little goes a long way. 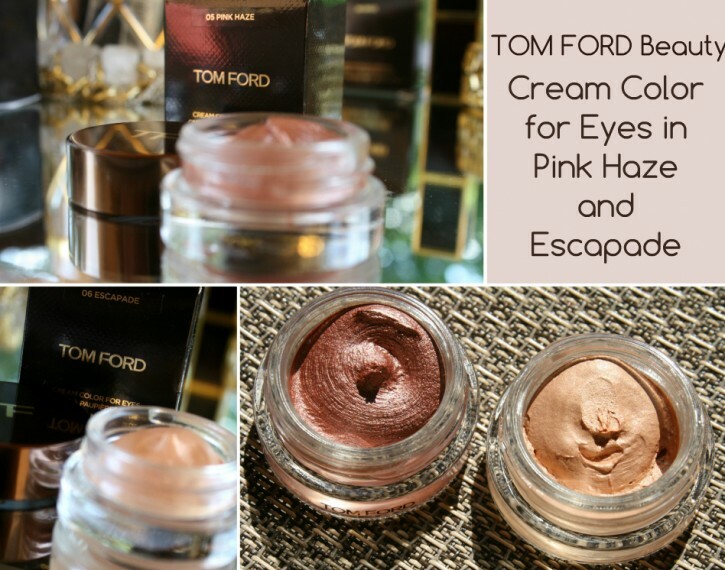 The TOM FORD Beauty Cream Color for Eyes pots are ultra-pigmented and long-wearing. You only need the tiniest amount for a great color payoff. According to the official description, Escapade is a warm “pearlized peach.” It reads more gold than peach on my NC25 skin, but it does have a faint hint of peach that makes it extremely wearable. This is the more versatile of the two shadows. 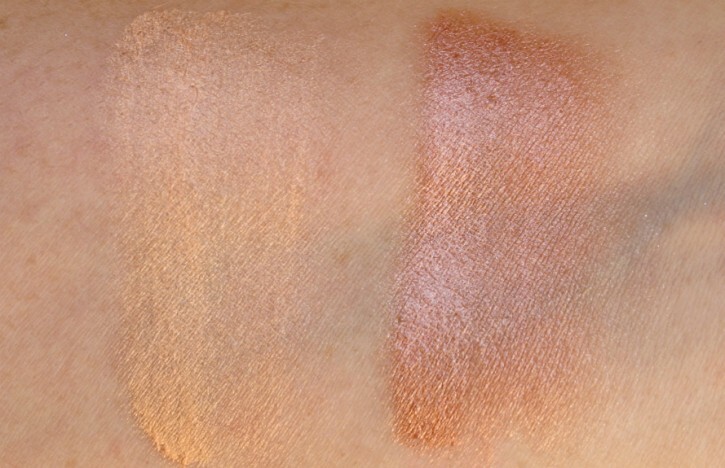 It can serve as a brightening base for other shadows or stand-alone as an all-over wash.
Below are a few swatches of Escapade and Pink Haze in different lighting scenarios. 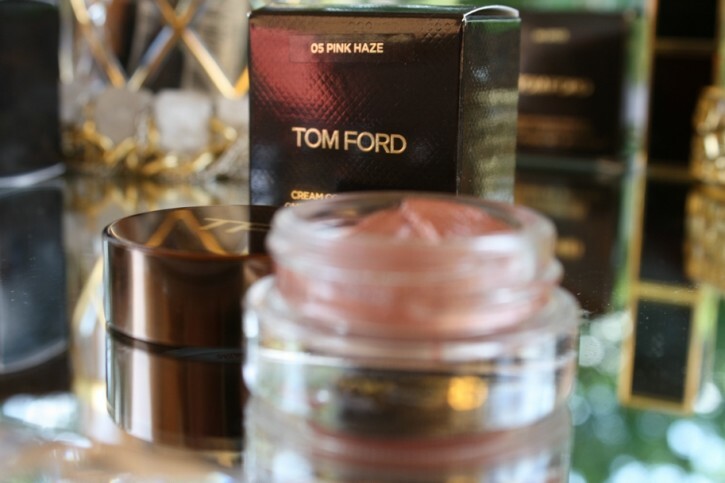 The pearlized finish gives each just the right amount of sophisticated shine without being too shimmery. Each color is buildable to your hearts desire, so blend away or layer to reach full opacity. The good: Everything! 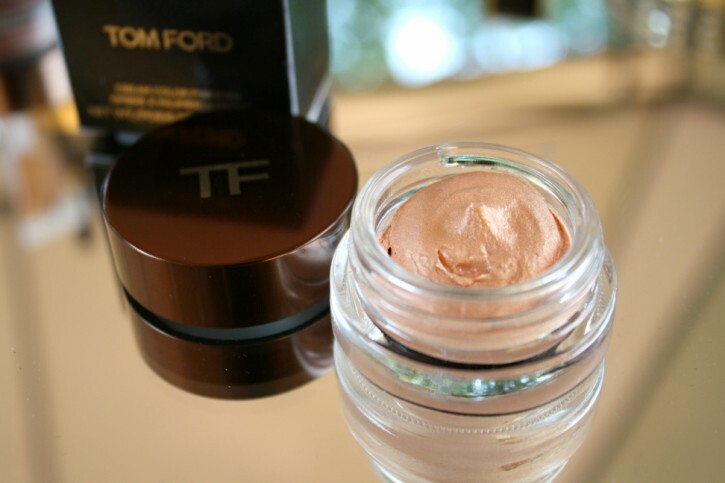 I have no complaints at all when it comes to the TOM FORD Beauty Cream Colors for Eyes. Each shade is stunning and a must-have in its own right. The bad: These are limited-edition and flying off the shelves. Must buy back-ups! 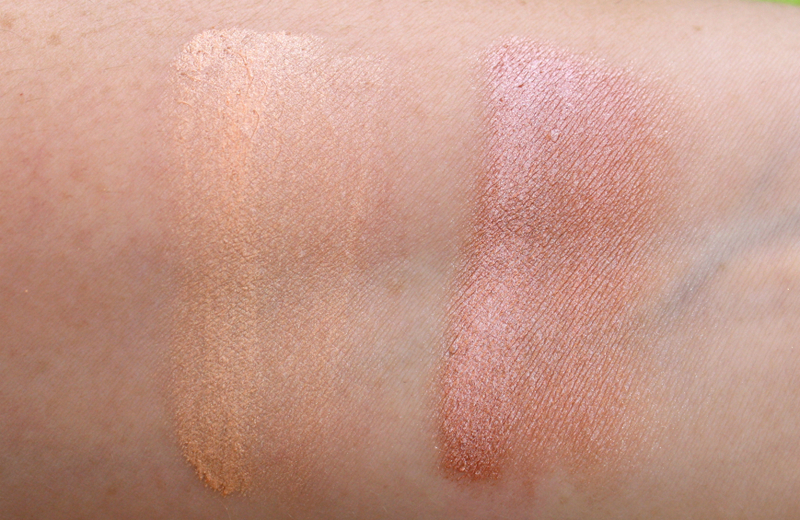 What do you think of Pink Haze and Escapade? Great review! The cream eyeshadows look almost good enough to eat!